As one of the main 4G LTE telecommunication equipment vendor, ZTE has presented many 4G LTE router to public, and most of them are already for operators’ contract plan. Unlike Huawei B593 4G LTE CPE many modification models, each of ZTE 4G LTE routers has specific modem name, even though they look almost same in appearance. ZTE 4G LTE routers are designed in same appearance model, but they are not completely the same in some aspects. Today, we will have a review of the difference between ZTE MF28B and MF28G 4G LTE Router. Most of the routers with appearance differ on the network bands. They are for different operators. ZTE MF28B Router is for Canadian operator Rogers, and it’s also called Rogers LTE Rocket Hub, but MF28B Hub could support single LTE band 7 (2600MHz), 3G HSPA (850/1900MHz) network is backward. As we can, it mainly for 3G network in North America. ZTE MF28G LTE Router is more powerful, it supports LTE dual-mode (TDD & FDD), it could support 4G TDD band 38 & band 40 (2300/2600MHz) and FDD band 7 & band 20 (800/2600). And ZTE MF28G supports 3G UMTS 900/2100MHz. ZTE MF880 4G LTE USB dongle could support these bands. So unlocked ZTE MF28G could work with more 4G operators and in some countries, MF28G could replace MF28B. ZTE MF28B and MF28G could both reach peak downlink speed up to 100Mbps and uplink speed to 50Mbps on 4G FDD network. Simultaneously, MF28G could reach peak downlink up to 68Mbps and uplink speed to 17Mbps when working on TDD networks. There are some adjustments in the bodies of the two ZTE LTE routers. MF28B has only 4 Ethernet ports (RJ45) while MF28G has 4 Ethernet. Ports, 2 RJ11 ports for telephone, and one USB 2.0 host port. So MF28G could support telephone and SD files sharing, but MF28B cannot. Sometimes, the logo on the router may vary according to operators. And the firmware may also be customized for operators. 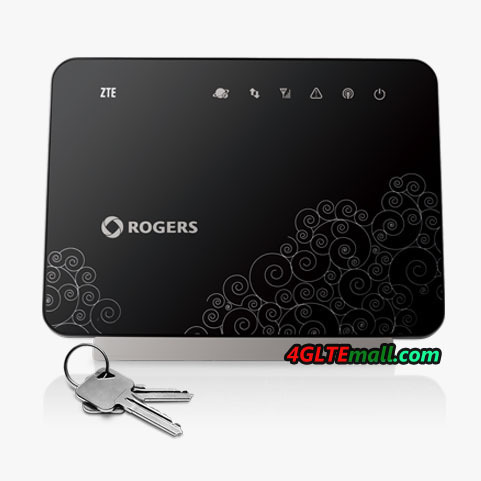 As we can see, the Rogers LTE Hub ZTE MF28B has Rogers’s logo on it and the forms are version is also with Rogers logo. Other features of the routers are almost the same, to conclude, Unlocked ZTE MF28G is powerful when roaming globally. In certain countries, MF28B may be reliable on 3G networks.